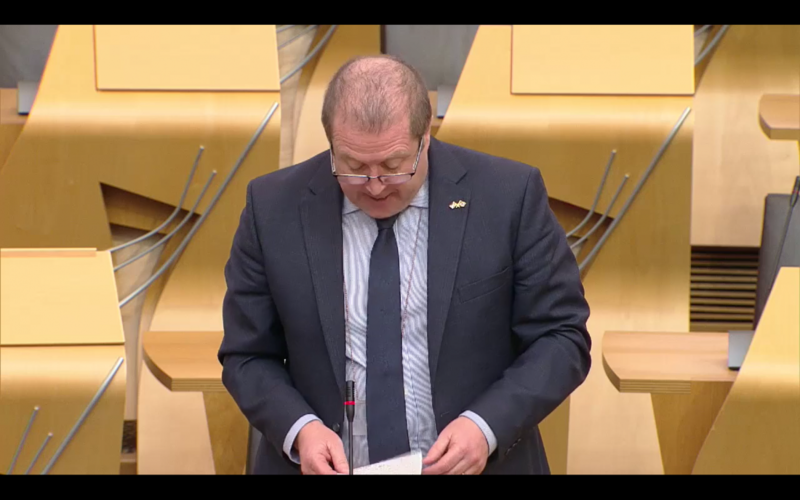 Angus South Constituency MSP Graeme Dey yesterday raised the planned closure of the Bank of Scotland’s branch in Kirriemuir in Parliament. In a debate led by SNP MSP Sandra White, Mr Dey highlighted the impact on the many people who currently only use that branch for their banking needs. “The Bank of Scotland’s announcement of the planned closure of its Kirriemuir branch is deeply disappointing. “The Bank of Scotland closed its Carnoustie branch, in my constituency, earlier this year despite the fact 47 per cent of its personal customers used no other bank and no alternative means of banking. Some 45 per cent of the customers of the Kirriemuir branch, which is also in my constituency and which serves a rather large rural hinterland, use no other branch, and that branch is also under threat. “Closure will have a big impact on the elderly and vulnerable people in and around Kirriemuir. There are many people who choose not to or cannot utilise internet banking.